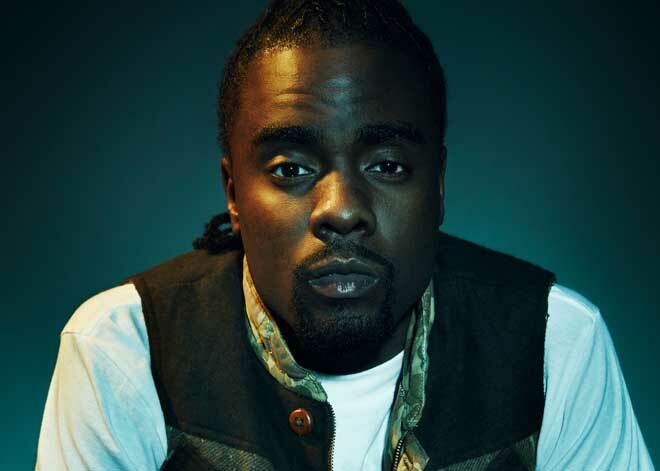 Rapper Wale is using Turntable.fm as an opening act during his live shows. With the online musical landscape growing bigger by the day, artists are turning to music-nerd site of the moment Turntable.fm as a unique way to connect with fans and promote their projects. The site, which earlier this year became a hot spot for music fans looking to listen to tunes together, has been very welcoming to bands and solo acts. Turntable allows artists to have verified accounts (like those on Twitter) and specialized avatars, and the service is planning more artist-oriented features for the future, co-founder Billy Chasen said in an e-mail to Wired.com. Establishing that kind of intimacy is one of the big draws of Turntable, the hot new group-listening service that lets users spin tracks online for friends in virtual clubs. Musicians have been trying to figure out the best way to promote themselves on the web since, well, there’s been a web. With Facebook focusing its music efforts on fans talking about what artists they’re listening, and MySpace still working on its second coming with Justin Timberlake (fingers crossed), artists are constantly looking for new ways to work the web. Prior to each show, fans can gather in a special Turntable room that is projected on the wall of the venue where the show is taking place. Those at home can DJ for the crowd; those at the venue can DJ using Turntable’s iPhone app. The music provides a nice alternative to the background jams typically played at venues and allows fans to feel like they are involved in a show they can’t attend. Dance music duo VHS or Beta used Turntable for DJ sets where they chatted with fans. The rapper, who despite his proclamations that he was “late to the Twitter party” has been very savvy about using the web, noted that Turntable could be a good platform for playing new material for fans before it’s officially released, but added that he doesn’t usually have much time to check out the rooms formed for his preshow. “I get to a lot of the shows late…. But the feedback [on the project] has been really good,” he said. Other artists have been spending more in-person time in the online listening rooms. DJ/producer Diplo famously made an appearance in a room early on in Turntable’s run. Rapper Talib Kweli, the first artist to get a verified account, DJ’d a set from the company’s office. And in some cases, artists are holding “shows” on Turntable as a chance to play music and chat with fans. Dance music duo VHS or Beta, for example, held a series ofDJ nights on the site prior to the release of their latest record, Diamonds and Death. The sets were a good opportunity for the band to play less club-ready tracks and “geek out” with fans about music, said multi-instrumentalist and vocalist Criag Pfunder. But of those “million things” that every musician is using now, which one is right? And will any of them have an effect on album or ticket sales? Ask Pfunder if using Turntable might increase demand to see live shows, the way artists have traditionally made their chips, and the answer may not be as inspiring as one would hope.